The Opera House, an arts and cultural events center in Howell, MI, was built in 1881. Today it embraces its history while also adapting to current technology and social trends. Making their website mobile friendly became a priority when they realized that people were visiting their website on smartphones. Oh how life has changed over the last 132 years- the very first people that went to the Opera House didn’t even have a telephone and came by horse and buggy. 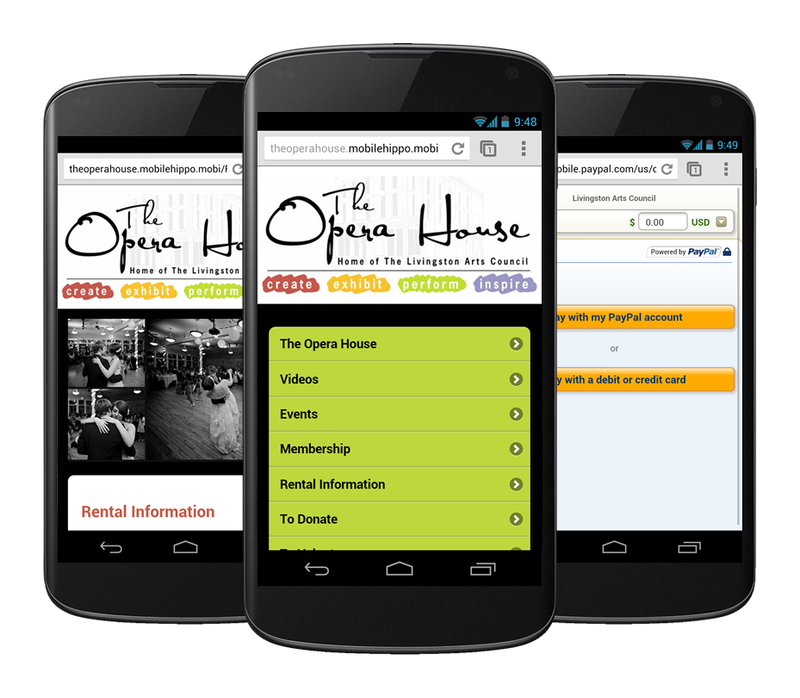 The Opera House’s site delivers a mobile experience that people will appreciate. This mobile site uses many MobileHippo features, and as a result, the site is easy to navigate and perfect for smartphone users. Throughout the site, there are several action buttons and videos that encourage visitors to interact with them. The Opera House used the YouTube video widget to install several of their videos in strategic locations on the site. We love how they want their visitors to engage with their content on the mobile site and gain an appreciation of the history behind The Opera House. They also took advantage of MobileHippo's ability to add a PayPal Donate button to your mobile website to enable their visitors to easily support The Opera House and help to maintain the historical relevance of their building. Most businesses today are not mobile friendly, mainly because they just don’t realize that people are looking for their company on smartphones at this very moment. Businesses must consider how their customers are engaging with them, and many of those customers are using their smartphones to do it. Why not give those customers a mobile experience that keeps them coming back to you instead of one of your competitors who is mobile friendly?